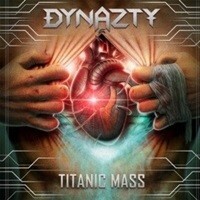 Striding to their own vision, Swedish act Dynazty have evolved from their melodic/sleaze hard rock roots during their earlier discography into a more melodic, modern metal act with obvious power and orchestral inflections. It’s amazing to see the transformation not lose the faithful in their fanbase, who can often be very critical when bands shift styles – but for this quintet, the changes happened at an adequate, comfortable pace to not send huge shockwaves to the community. Their latest album Firesign pushes more of the keyboard/orchestral hooks once again – but doesn’t forsake the electric guitar and vocal melody foundation that has been a staple for the group. Reaching out to vocalist Nils Molin, we had plenty to discuss regarding the decade-long plus career of the band. Now a part of the Amaranthe lineup since last year, we talked about what this means for the future of the group, their outlook and work ethic concerning the recordings, and thoughts on band chemistry plus the state of the music industry. 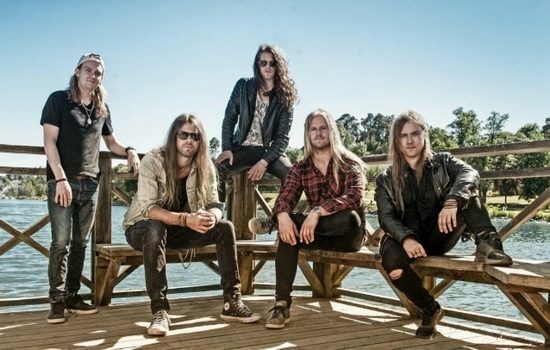 Dead Rhetoric: Dynazty as a band has evolved from a more melodic hard rock act on your earlier discography to possessing a heavy/power melodic metal style over the past few records. Can you discuss how this evolution took place – and did you ever worry how the fans would accept these shifts record to record? Nils Molin: I think that this has always been a bit of a natural process, a natural development of the band. I think that when we started this band ten years ago, we were in our very early twenties- I was 19 myself. At that particular time, there was this whole movement, especially across Stockholm there was this retro revival of this melodic hard rock from the 70’s or 80’s. That was just going on at the time, so when we started this band we started playing in this style because that is what you were supposed to do at the time. We didn’t think much about it. Over the later years we discovered that this kind of genre has a lot of restrictions or at least a set of rules that you need to sort of follow to be a part of that genre. We felt pretty closed in, and we wanted to do something that enabled us to not have restrictions and rules on our music. I guess around 2012-13 when we started writing the Renatus album, that was the biggest shift in our music. The only plan we had was to write music without restrictions. We didn’t think about what we had written before, we should just try to write something and that’s what we wrote. In terms of being worried about fan reception, we were of course aware that this could be quite different from anything we have done before and maybe not a lot of fans are going to like it. I think that we were actually surprised that a lot of people welcomed this evolution, it was a pleasant surprise that as many fans stuck with us despite the change- or even welcomed it. Dead Rhetoric: Firesign is the sixth and latest studio record for the band. At this point in the band’s career, do you feel very comfortable with where you are going in terms of the songwriting and performances, and how was it recording this set of material? Molin: Yes, I think that myself personally and the whole band feels comfortable with where we are right now. The songwriting process is very smooth, very easy. We know each other very well. We have a distinctive work ethic and way of working that is very well for us. With Firesign, I think this is one of our most inspired albums yet, at least in my opinion. The writing process was extremely fast and efficient, because there was not a lot of effort in the sense that we had to struggle with anything. The songwriting just flowed very naturally. In terms of the recording, we recorded it very fast- which is what we always do. Ever since the start we have full scale production on the demos, and we finish them before we enter the studio so we know exactly what we are going to play and leave very little to chance once we are in the studio. We work with a great engineer, Thomas ‘Plec’ Johansson. A very fun and inspired time in the studio. Dead Rhetoric: You also mentioned in the background material how you wanted this album to be much more organic than previous ones. Do you believe that’s important to allow the fans the chance to hear what’s going on as opposed to piling things on with studio tricks? Molin: Yes, that’s what we felt, that we wanted to bring forth with this album. In today’s production climate, it’s not necessarily that you are using a lot of studio trickery, but you mix and master in a way that you compress everything so you don’t hear a lot of the nuances that are there. With this album, we wanted to go for a more organic and natural touch, and really get that band feeling. Dead Rhetoric: Where do you see the balancing act between keyboards and guitars for the group – are you conscious of developing strong hooks and melodies track to track without one aspect overshadowing the other? Molin: Yes, sure. It’s always a tricky balance. I think that for the last two albums we’ve had the same amount of keyboard arrangements. It’s just that on this album they are little more pushed (up) in the mix. And that’s because we had very strong arrangements that we wanted and felt they gave the song that extra dimension. At the same time, this is a guitar-oriented band, and a lot of stuff is based on riffing and things like that. You have to find that sweet spot between the guitars and the keyboards. It’s always a balance to consider which one to go for, and what section. Dead Rhetoric: Where do you see your own personal development as a vocalist from the start of Dynazty to today? What have you learned to add to your own tool box of tricks so to speak to become better, stronger, and more open? Molin: I think that over the years I’ve worked on perfecting my singing technique, on making things as stable as possible. Making sure that I can always rely on myself and focus on delivering the emotion and intensity necessary for the song. Singing is something that is a craft that you are always learning, or at least that’s how I view it and how I want to do it. I don’t think of myself as a fully learned singer at this point, I’m still learning. I am a hell of a lot stronger at singing than when I first started with this band ten years ago. I didn’t know a lot of the stuff that I know today, especially when it comes to touring. Dead Rhetoric: To me on songs like “My Darkest Hour” and “Follow Me” your delivery and multi-octave range contains inflections of singers like Russell Allen as well as Mike Reno of Loverboy. Can you discuss your work process when it comes to vocal takes, are there times you surprise yourself from an original demo to a final take? Molin: Sure. Sometimes I even surprise myself on the demo. It can be both ways, the first time that you record a song you capture something really brilliant, and you try to go into the studio to reproduce that and it doesn’t really sound exactly the same. And sometimes you just nail it completely in the studio and blow the demo vocals away. What I usually do is I’m very well prepared. I more or less know my game plan, and know what kind of delivery that I want. Then I go in there, and things can change in the heat of the moment. Overall, before I go into the studio I know what kind of vibe I am going for usually. I usually finish the lyrics before I go into the studio. I already know the lyrics when I am standing in there. I have gone in with paper in hand sometimes, but I prefer to have it in my brain so I can focus on the singing instead of reading at the same time. Dead Rhetoric: Now also being a part of Amaranthe, how much of a balancing act will things be for the two bands? 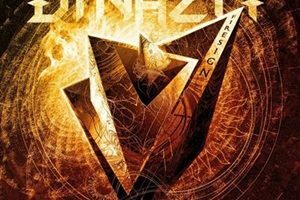 Are your current bandmates understanding of the larger profile and touring schedule Amaranthe has, also with a new record coming out in the same quarter as Dynazty? Molin: Yeah, I think the rest of the band members are understanding. I think that all of the guys in Dynazty have other parts in their lives that also take time- and are a priority in their lives. Whether it’s other musical endeavors, or family, or work. It’s going to be a balancing act for me personally- it’s going to be a lot of juggling. I need to be very aware of my schedules. There is definitely time to do both (bands). Dead Rhetoric: You are a part of the AFM Records roster after being on labels like StormVox and Spinefarm in the past. Do you feel comfortable being a part of this stable, and have the proper promotion, publicity, and support channels from the staff on both the North American and European sides? Molin: We feel very comfortable, so far so good with AFM Records. This is the kind of label that always should have been our home. A label that really understands our music, really knows where we come from, really knows who we are and are extremely supportive of our music. We have experienced in the past ups and downs with labels. Even in the early days, lots of labels who tried to push outside influence on the band. I thought that was disastrous at the time and really didn’t help the band with their own personality. Right now, we have full support from the label, and it makes for a great cooperation overall. Dead Rhetoric: How much of a tightrope is it to walk between developing a team around you of proper management, booking agents, road crew, etc. giving their input versus what the band collectively wants to do – as I’ve read in previous interviews that was a sticking point in the early days of the band? Molin: Outside influence doesn’t necessarily have to be a bad thing. If people have ideas for the band, it depends on what they are working with. If they have good ideas, that’s great- if they have bad ideas, that’s not so great. Overall I strongly believe that usually the bands have the best vision for their own band. They are working closest with the band, they know their fan base the most, in our case I don’t think there’s no need for even an outside producer for the music – we do it so well ourselves. We know how to do our music nowadays, so we keep this within the band. Then of course when it comes to marketing, I’m always open to listen to what other people have to say and what kind of strategies to use for the band. Overall when it comes to the creative side of the band, I think it should stay within the band. Dead Rhetoric: Where do you believe Dynazty stands in terms of a following and career – are there specific goals or bucket list items that you set that you have yet to achieve to keep you motivated? Molin: I’m not much of a bucket list guy. I want to continue to work. I don’t think there’s anything that we feel that we haven’t achieved, and I don’t think there is much that we feel like ‘we’ve done a lot of good stuff, now what is there left to do’? This band is built around the enjoyment of playing music and writing music and hanging out with each other. In terms of bucket lists, we played Japan for the first time last year – I think that’s one of those things that you sort of always want to do as a musician. I think we will just continue to write music, go out and play, and do our own thing. In terms of goals, that’s the general goal – to continue to do our thing, and become a stronger and better band as the years go by. Dead Rhetoric: You turn thirty this year – has your perspective on life changed and do you feel like you got to see, do, and experience all that you wanted to during your twenties? Molin: My perspective has definitely changed. I guess it does that for most people. You are usually not the same person when you are thirty as you were when you were twenty. I would consider most twenty- year-olds to still be children in a sense. I’m very happy with my last ten years – I’ve put my music career in motion, I’ve got off running very fast and very well. Working with great people, seen a lot of great places- I’m very happy with the last ten years. Dead Rhetoric: You mention the importance of friendships within the band. Do you believe this has been important in developing the craft for Dynazty as far as establishing your career? Molin: This has definitely been one of the strong points of this band. Especially in the last five to six years, we have so much fun together when we are playing and hanging out. This is crucial to be in a band, in a touring band. At the end of the day, if you don’t get along very well and you have to spend days and days together with lack of sleep during traveling, it’s just not going to work. When it comes to writing music, that bond is very important. Dead Rhetoric: Where do you see the major differences between the studio and the stage? Do you get greater satisfaction for one over the other – or are both equally exciting and different enough to satisfy you? Molin: They are both equally different and equally satisfying I would say. They are extremely different. The stage is a let out of energy, in the moment kind of thing. The studio is more precision, thoughtfulness. It’s two completely different beasts, and I like them both equally. Sometimes you can feel more pressure in the studio than you should. For example, delivering the vocals of your life. That is something as the years go by I take a little more lightly than before. To not feel so much pressure in the studio and enjoy the work, stay focused and creative. Live shows are always a blast, of course. They are the two sides of the coin of being in a band. Dead Rhetoric: How do you feel about the state of the heavy metal scene at this point? If you could make any changes to improve things, what would you consider changing? Molin: If I could make any changes. I sort of see the metal scene as it is what it is, and you can’t do much to change it. Sometimes I feel that perhaps nowadays the trend is that most bands need some sort of gimmick, it’s just not enough to be a really good and awesome band. You need to dress in a certain way – and that has always been there in the rock industry, but nowadays I see it more apparent. The more niche you are, the easier it is for you to find a target audience. Personally, I’ve always loved the bands that don’t go for these gimmicks and stand there and are who they are on stage, just rock out. But then again, this is an ever-changing evolution. You have the fact that nowadays the whole record industry is drained completely of money. This of course causes some issues. I wish we could go back to the days when labels had money to invest in bands for a longer period. You didn’t just get a chance with one record and you were on your own if you didn’t make it- they had a six/seven-year plan to release three albums and maybe make money on the fourth album, things like this. There is no going back in that sense. Dead Rhetoric: What do you consider your all-time top three albums when it comes to music, and what was your best concert memory you’ve ever had from a fan perspective? Molin: This one is difficult. My all-time favorite albums. A lot of my favorite albums are usually from the 70’s. Deep Purple- Burn is one of these albums. All the Purple albums from the 70’s are absolutely fantastic, but this one stands out a bit more. Dream Theater- Images and Words. Then I love classic heavy metal like Judas Priest- British Steel or Screaming for Vengeance, or Iron Maiden- The Number of the Beast and Powerslave. Those kind of albums, they are timeless classics for me that I never grow tired of. In terms of concert memories… I think my whole experience going to visit the Sweden Rock Festival for the first time was a big eye-opener. All of a sudden I got to see dozens of bands that I never had any chance to see at other times. It was a massive experience to see all these legendary bands at the same time. Dead Rhetoric: What are the future plans for Dynazty over the next twelve months? Molin: We are going to go out and tour in the winter. We just did six shows here in Scandinavia, and then we will do more touring in December. We will continue with some more touring in the spring, we will hit the European mainland during the spring. Let’s see if we have some time to write some new songs for next year also.